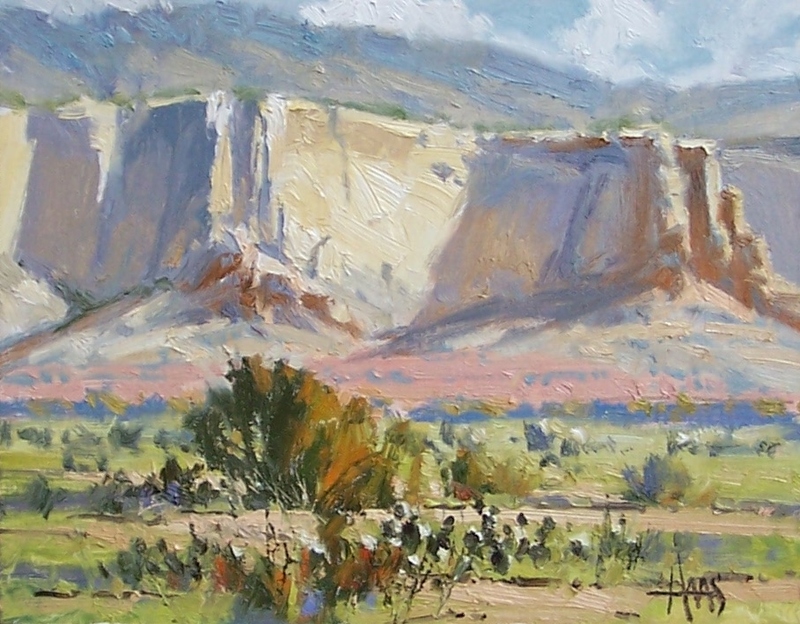 ARTIST STATEMENT: I am drawn to portray the American West–deserts, mesas, plateaus, pine forests, and timberline mountains. The variety of climate zones offers a wide range of interesting subjects to paint. Many destinations have colorful myths, legends and history that enhance the natural beauty. I hope my present-day impression of this world is a valuable contribution to you and those who follow us. 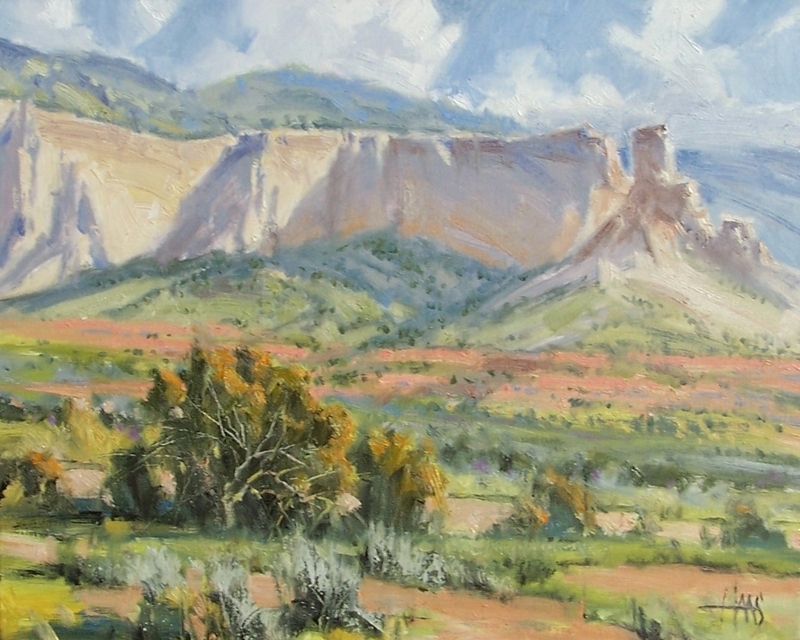 These paintings were inspired by Ghost Ranch, a 21,000-acre retreat and education center close to the village of Abiquiu, in north central New Mexico, Rio Arriba County. The area is surrounded by magnificent, multilayered cliff walls, red hills and mesas. This entry was posted in Landscape and tagged Notes, Small paintings. Bookmark the permalink.